Abdil Mughis Mudhoffir is a PhD candidate in politics at the Asia Institute, University of Melbourne. He is also a lecturer at the Department of Sociology, State University of Jakarta and a research associate at LabSosio, Sociological Research Centre, University of Indonesia. His research interests include: Indonesian politics, democratisation, Islamic vigilantism, and violence and politics. 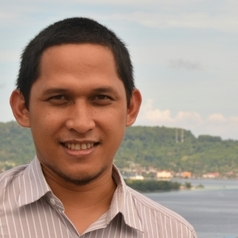 His current research investigates the political economy of non-state violence in post-authoritarian Indonesia. His journal article "Islamic Militias and Capitalist Development in Post-Authoritarian Indonesia" has been awarded the 2018 Journal of Contemporary Asia Prize for the best article published in 2017, which appeared in Vol. 47, No. 4.